In our weekly Concept Art Writing Prompt, we invite you all to write short stories inspired by a particularly interesting illustration. 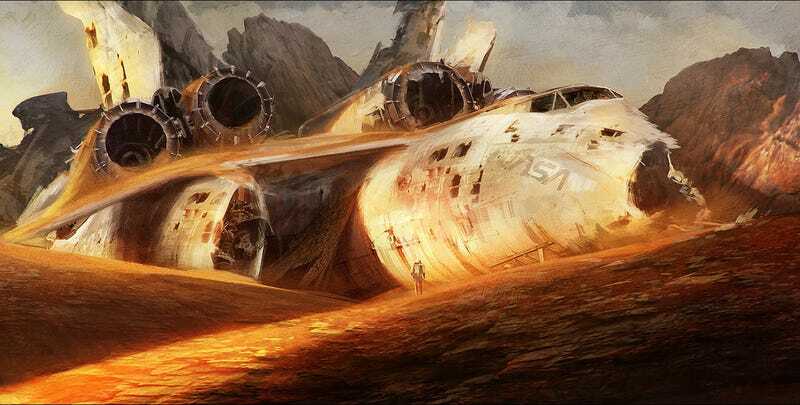 This week’s prompt, by artist Johnson Ting, shows us a very battered NASA ship. You tell us: What happened here? Once you’ve written your story, share it here in the comments. Happy writing! “Downed” is featured with permission from the artist and was spotted on r/ImaginaryLandscapes. Ting also sells prints and other products in his Society6 shop.